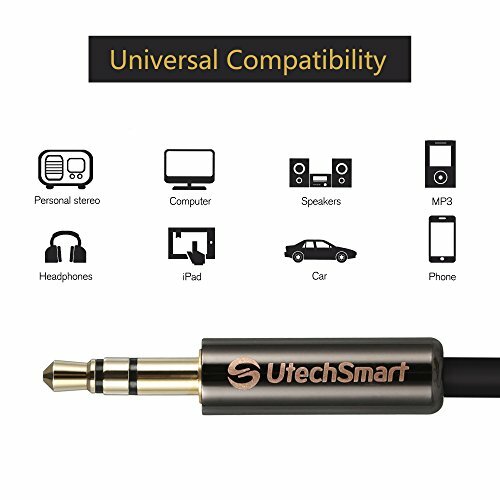 Universal Compatibility:Play audio fits all standard 3.5mm audio aux stereo jack.Such as Headphones, Tablets, MP3, TV Boxes, DVD, PCs, Laptops, Consoles or other media- playing device on your Headphones, Speakers,Hi-Fi or Car Stereo System. 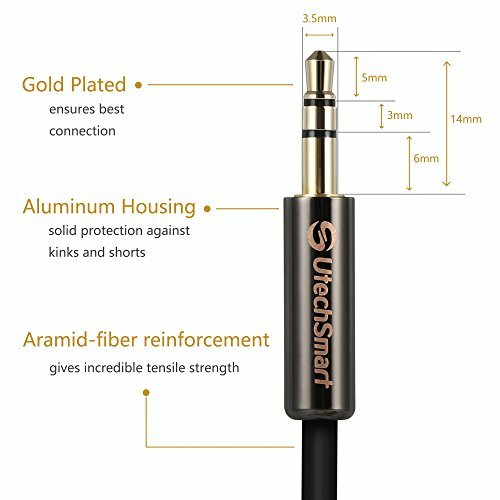 Perfect Sound Quality:High Signal-To-Noise Ratio.24K gold-plated connectors ensure reliability and eliminate signal loss and noise,giving you a cleanest sound from aux jacks. 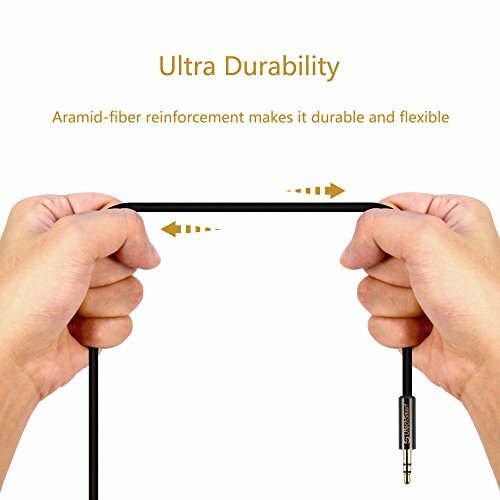 Ultra Durability:More than 15000 bend lifespan several times is longer than original audio cables.4ft length of durable and flexible metal housing cord. 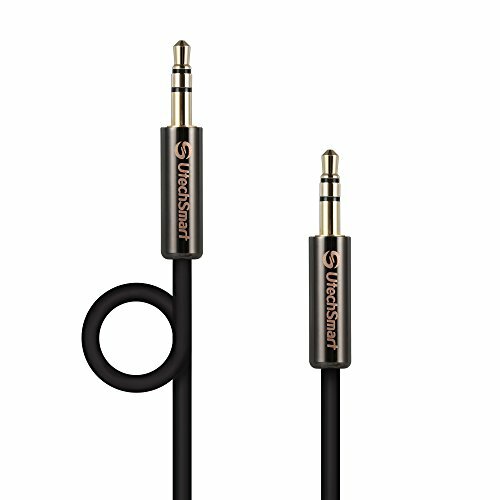 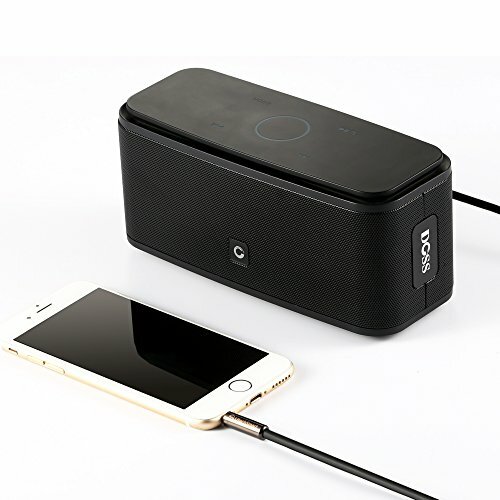 Super Fit: AUX cable is designed to fit almost case.No need to remove your cases when using audio cable. 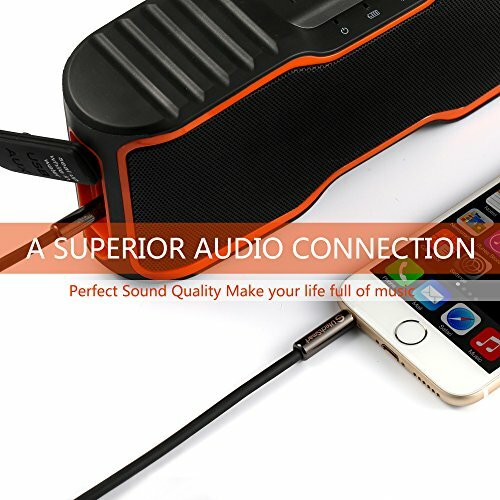 Warranty: 1*Auxiliary Audio Cable,with 18 months warranty.If you have any concerns to the problem, feel free to contact us.